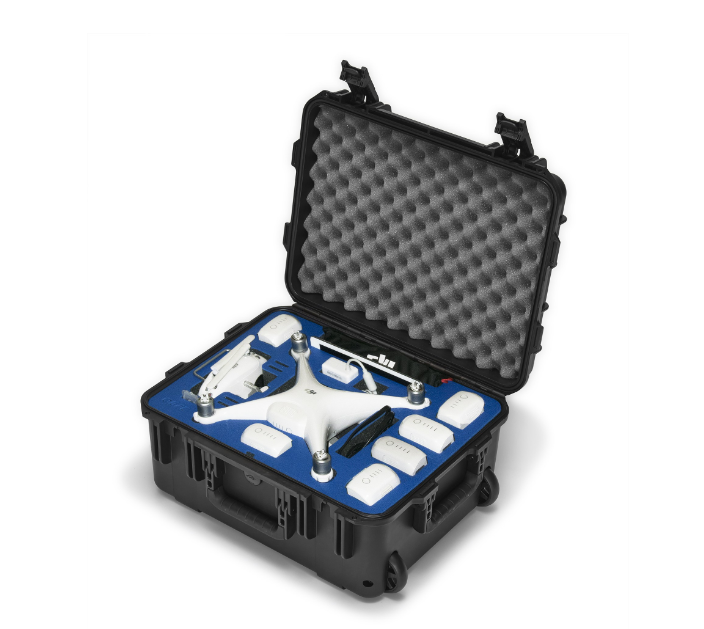 GPC compact wheeled case for the DJI Phantom 4 is in! Just in time for the first shipment releases by DJI, GPC releases its newest case accommodating the P4 & up to 7 batteries, iPad Air 2 or iPad Mini, filters and SD card storage. But best of all, the Phantom 4 includes quick release props, which allowed us to use a smaller case perfect for airline carry-on specs. Order yours today!